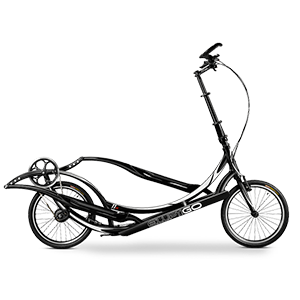 Mix up your exercise routine with the ElliptiGO compact-stride bike. The compact elliptical pedal stroke is perfect for anyone looking to get an exhilarating, time-efficient, full-body workout without the impact. 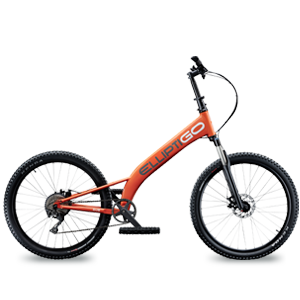 The smooth, running-like elliptical motion of ElliptiGO long-stride bikes deliver the ultimate in riding comfort and performance along with indoor/outdoor versatility. 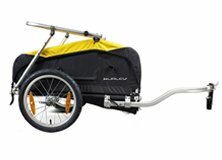 We have the essential gear you need to keep your ElliptiGO bike running smoothly and safely, no matter what the road throws at you. When the weather forces you indoors, or if you just want to catch up on your favorite shows, these trainers offer a quiet, road-like feel for your workout. When you want to explore a new location or show off your bike a little farther from home, these racks will get your ElliptiGO bike to your destination securely. Whether you are riding around the block or completing a century ride, ElliptiGO apparel keeps you looking good and feeling comfortable from head to toe.